Book Swap & Book Signings! Bought a gardening book and finished it? Been given a beautiful gardening book and you already have a copy? Or have you been clearing your dusty shelves and are not quite sure what to do with those old favourites that you’ve read in the past? Why not give someone else the pleasure of reading that particular book, and at the same time, find another one for yourself? 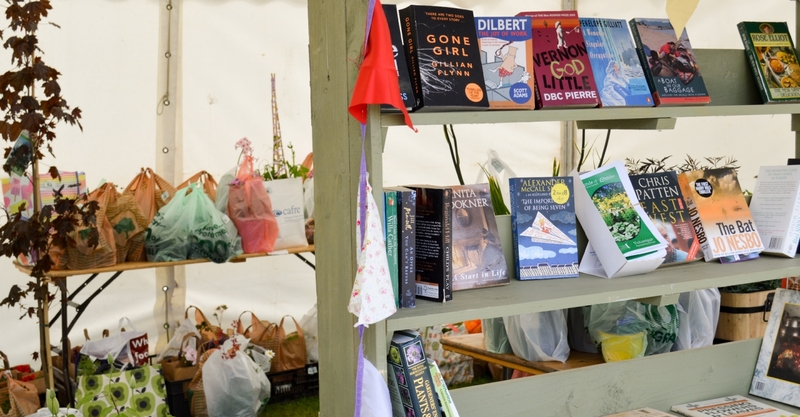 If you have gardening books you no longer need, bring them along to our Garden Book Swap at the Show and swap it for another. You never know what interesting books you might find. Volunteers from the Friends of Antrim Castle Gardens will be running the Garden Book Swap which will be situated beside the Plant Crèche. So to make it easy, if you swap your book for another, your new book can be looked after in the Plant Crèche along with your other purchases, allowing you to wander around and enjoy the Show for the rest of the day without carrying all your parcels with you! And if you wish to add something special to your garden book collection, or you’re looking for that very special garden gift, then come along to the Garden Talks Tent and the Food NI Food Pavilion where at the end of their sessions, Mark Diacono will be signing copies of two of his books, ‘Taste of the Unexpected’ and ‘The New Kitchen Garden’, and Lia Leendertz will be signing copies of ‘The Almanac’ which was one of Amazon’s top 3 Christmas books in 2017.